Amazon is offering Prime members 10 percent discounts on select items at Whole Foods stores in Florida, the first step in a program Amazon expects to implement nationwide this summer. 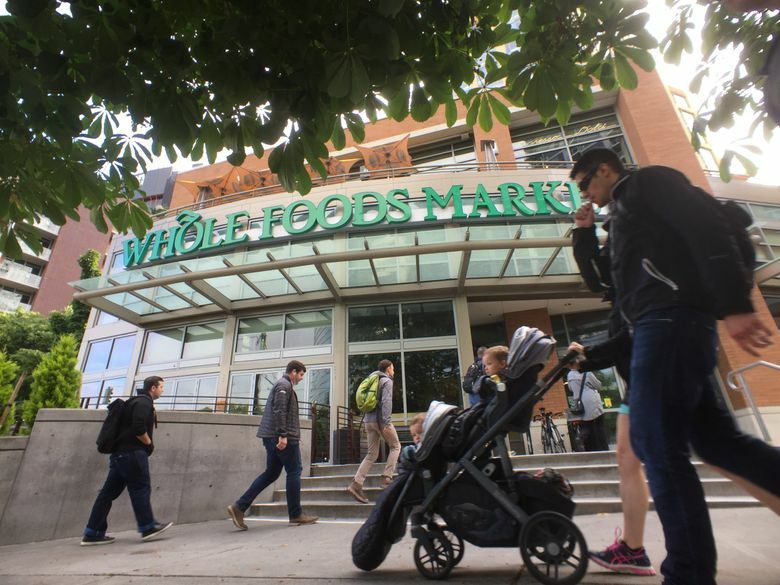 Technical difficulties have prevented Amazon from integrating Prime into Whole Foods locations as quickly as executives hoped, one source says. Amazon has linked its Prime program with its first batch of Whole Foods Market stores, offering members of the shoppers’ program a 10 percent discount on sale items and other deals on select grocery items. The 28 Whole Foods locations in the Sunshine State are rolling out Prime discounts on Wednesday. The company says the rest of the country should expect the offers beginning this summer. The move — which Amazon had been planning even before it closed the $13.5 billion acquisition of the organic grocer in August — is the latest link between Whole Foods and Amazon’s broader commerce empire. Amazon had hoped to integrate Prime into all of its Whole Foods stores earlier this year, but the effort has been hindered by technical difficulties, some of which are related to the company’s point of sale systems at checkout, according to an employee not authorized to speak publicly. Other integrations have gone more smoothly. The Seattle company had previously set up kiosks featuring its range of electronics in select stores. Lockers, pickup and drop-off points for Amazon package deliveries, are also now in more than 400 Whole Foods stores. And in February, Amazon started using Whole Foods locations as depots for groceries delivered by the company’s Prime Now quick delivery service. That service is now available in 10 markets (Seattle is not among them). The first wave of deals for Prime members at Whole Foods stores in Florida include $10 a pound off halibut steaks, two 11-ounce bags of KIND granola for $6, and a buy one, get one free offer on 12-pack cases of Whole Foods house brand 365 Everyday Value sparkling water. Customers need to download the Whole Foods Market smartphone app, link it to a Prime account, and swipe their phone at checkout, to receive the discounts, or use a linked phone number. Amazon last month announced an increase in the annual cost of its Prime membership program in the U.S., from $99 to $119. In addition to the new Whole Foods discount, the program offers speedier Amazon deliveries, and access to digital video and streaming music libraries, among other perks. Retail analysts estimate that many members of the program already shop at Whole Foods.